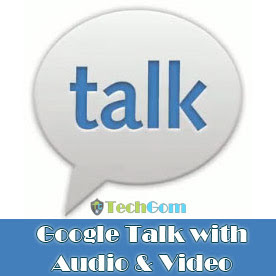 Today, I'm going to show you how to install GTalk with audio and video support on your favorite Android device running Android Gingerbread. You must root your device, to do so you can either install a kernel which will root your device for you or follow the Guide to Root your Android Device. Note: You can't use the above mentioned kernels for XXJVS(2.3.5), installing this on XXJVS will break the Wi-Fi on your device! Install Root Explorer app from Android market, here is a link for the same. Download the talk1.3.nowifi.v2.rar, the password for this file is "http://www.techgom.com/" without the quotes. Extract the downloaded file talk1.3.nowifi.v2.rar, copy the files inside the extracted folder and paste them in the internal SD-Card of your device. Traverse to the location where you pasted the files. Now copy "libtalk_jni.so" by pressing and holding the file and selecting copy from Options. Traverse back to root folder (/) and open "/system/lib". Paste the copied file in lib folder by pressing the paste button on the screen. If you get a warning: "You cannot paste here because the file system is read-only." then click on "Mount R/W" button at the top right corner of the screen and paste the file again. Now we need to copy the second file "Talk.apk" we transferred to the SD-card. Once you have copied the "Talk.apk" file, traverse to "/system/app". Scroll through all the app's and find "Talk.apk". We need to rename this app so that we can switch back to this app in future. 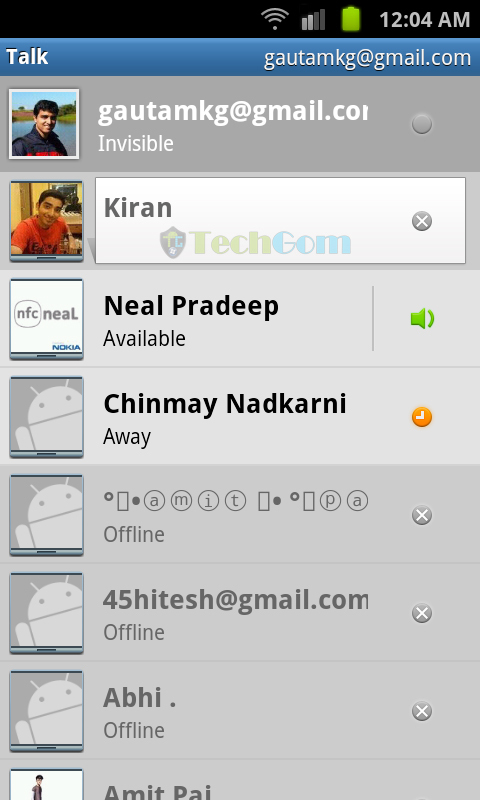 You can rename the app as "Talk.apk1". 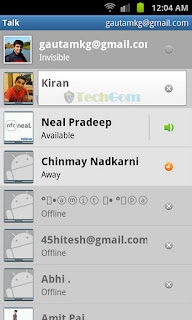 Once you have renamed the app, we have to paste the copied "Talk.apk" here. Close Root Explorer, we are done here. Just restart your device before opening GTalk. Congratulations! You now have GTalk with audio and video support on your Samsung Galaxy S! It is a very useful article on how to install a very useful program to your smartphone. Thanks for the clear and detailed demonstration on how to install GTalk with audio and video support on a favorite Android device. I really appreciate your assistance.